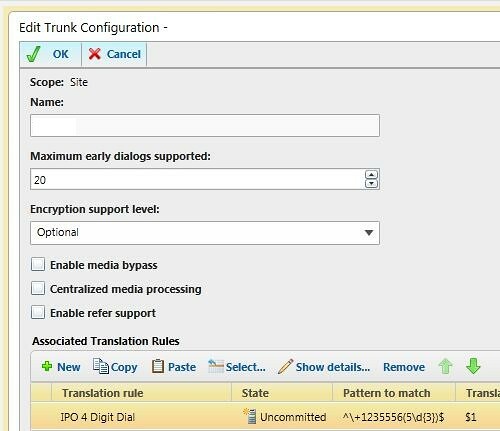 This post isn’t in the planned sequence of documenting the Lync Deployment in this series, but I found the topic fairly frustrating and undocumented today so I decided to go ahead and post this now. Our primary location has DIDs for each extension, but or second campus only has a few POTs (Plain Old Telephone) lines for service so there are not DIDs for each extension. 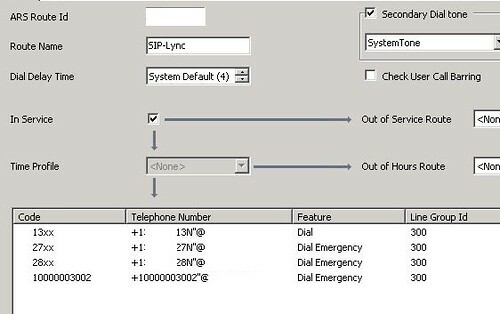 When deploying Lync Enterprise Voice each user is configured with a SIP Address as well as a telephone Line URI. 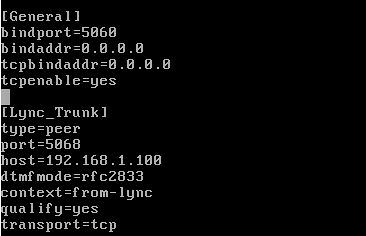 In deployments where every extension has a DID the Tel URI can simply be the external DID number associated with that user. 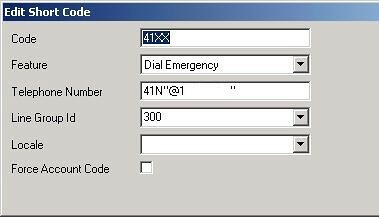 When you make a 4 digit extension call internally, Lync uses your defined Dialing Rules and normalizes the number to the E.164 format. 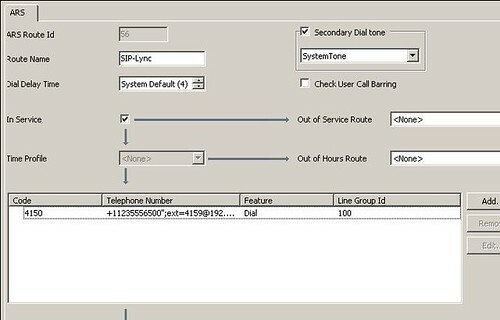 When dialing extension 5555 Lync would normalize (because you configured this normalization rule already) it to: +112355555555 for a US telephone number of (123) 555-5555 and will route the calls internally to the appropriate user. 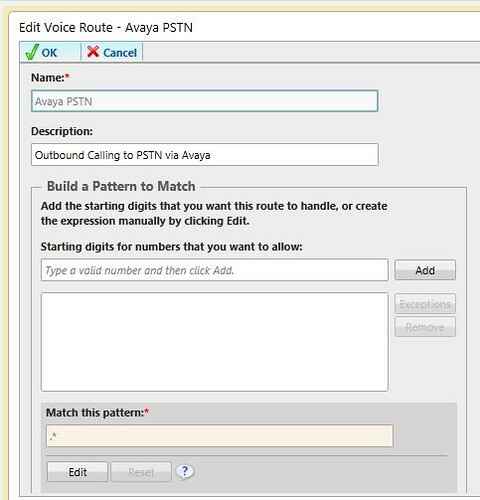 Since the call matches a Lync user the call isn’t routed to the PSTN (Public Switched Telephone Network). 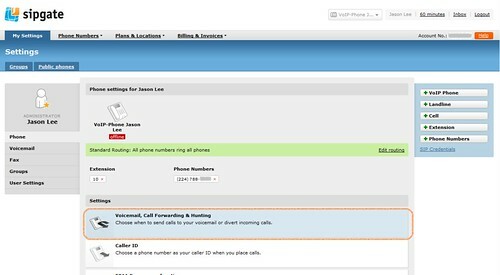 When a user doesn’t have a DID, you can also enter a user’s Tel URI with the extension added in the following format: +112355555555;ext=1234 where the main telephone number is (123)555-5555 and the extension is 1234. 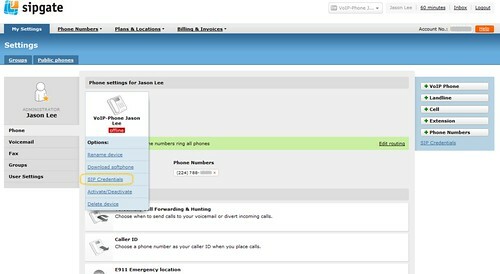 Even though you have created the user with the main number and extension you won’t be able to make 4 digit calls without adding additional dialing rules so the call can be completed. 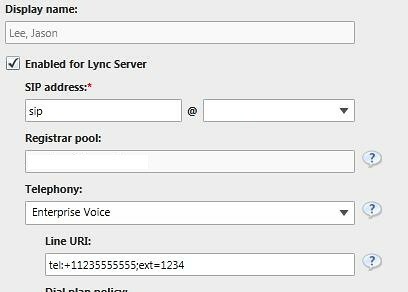 To make calls to 4 digit extensions that do not have DIDs go to Lync Server Control Pannel > Voice Routing and select the appropriate Dial Plan. 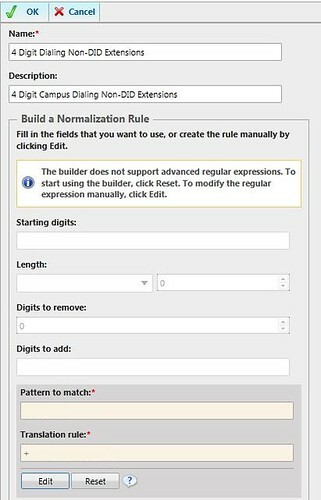 Once you are viewing the appropriate dial plan choose new “Associated Normalization Rule”. Give the new Rule a Name and Description. 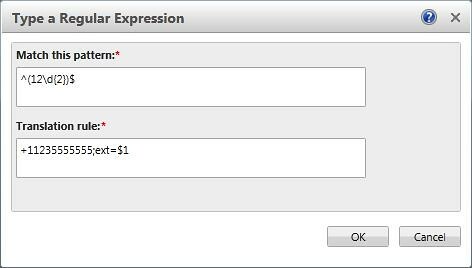 Then skip all the boxes for Starting Digits, Length, Digits to Remove and Digits to add and go to Pattern To match and select Edit. 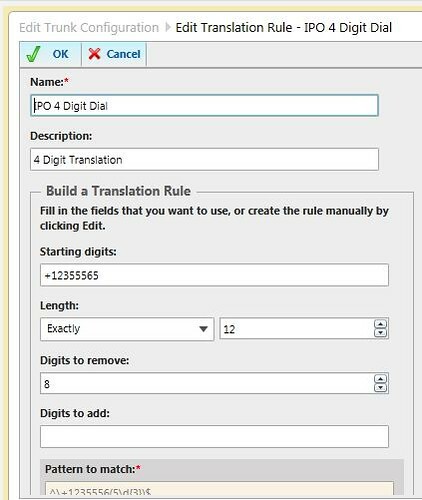 After you save and Commit the Rules and they replicate to your Lync Clients you will now be able to dial 4 digit extensions that don’t have a DID. A upcoming trip has had me exploring cost effective ways to make traditional phone calls from my mobile device over a Wi-Fi connection. My trip’s location will be where there is little or no CDMA cell phone coverage and if there is any coverage, Sprint’s rates are fairly expensive. And since my primary phone is a HTC Evo we need an alternative. Since most hotels have Wi-Fi or you can usually find a fairly cost effective internet café. The quest for the ability to call any US landline or mobile phone from my mobile device when there is Wi-Fi available has begun. 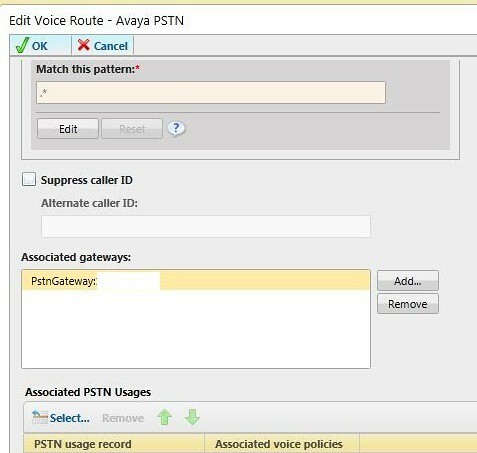 I have found no direct SIP provider that offers free calling to the PSTN (Public Switched Telephone Network), but was able to find a SIP provider that allows free incoming calls… Enter GV Call Back, SipDroid, and SipGate and Google Voice… with those combined you have Free SIP calling anywhere you have a Wi-Fi connection. Not to mention inbound calling from anyone who has your Google voice number. 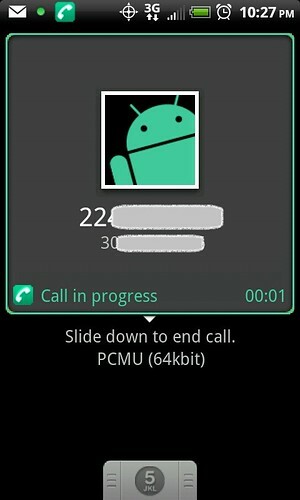 Using an Android application called Google Voice Call Back you can initiate over an internet connection a Google voice call. Google Voice then calls you back on your SIP line which then alerts your phone. Once you answer the SIP call on your mobile device, Google Calls the person you want to talk to, and you are connected via your device on Wi-Fi to someone on their telephone (mobile or Landline). 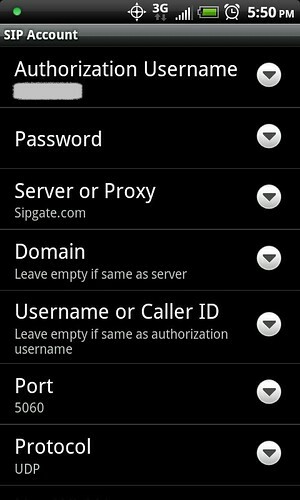 Acquire a “local” US number from SIPGate by entering your zip code. It doesn’t matter if this number isn’t a local number for you since you won’t be calling this number nor with anyone else. Login to your Google voice account and go to Voice Settings. 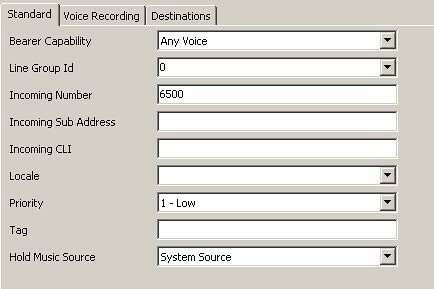 Back at your SipGate Dashboard, go to settings and then Click on “Voicemail, Call Forwarding &Hunting” and delete the forwarding settings. 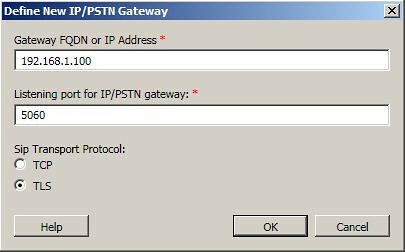 Note the registry, SIP-ID and SIP-Password as you need those in the next steps. 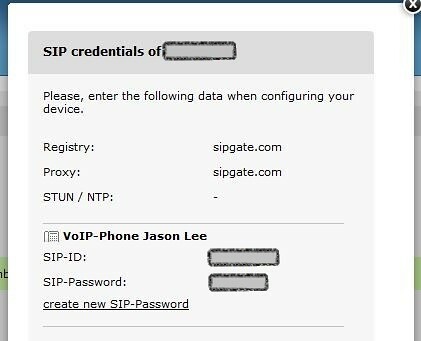 Enter your SIP-ID as the Authorization Username and enter your SIP-Password as the Password. 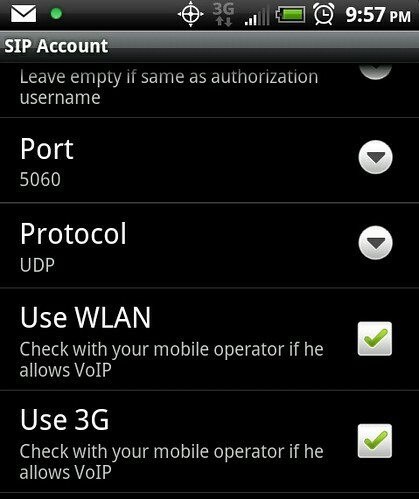 Scroll down and select which networks SipDroid can use. 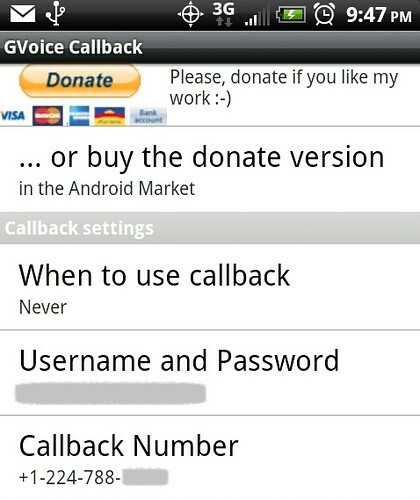 Launch the GV Call Back application and Set “When to use call back” to either use for all calls or ask for every call. Enter your Google Voice username and password. Set the Callback number to your sipgate number. 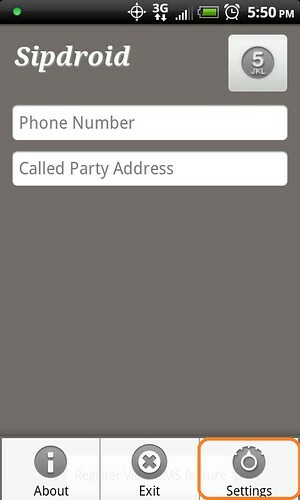 Select phone type as mobile. Apply Settings. 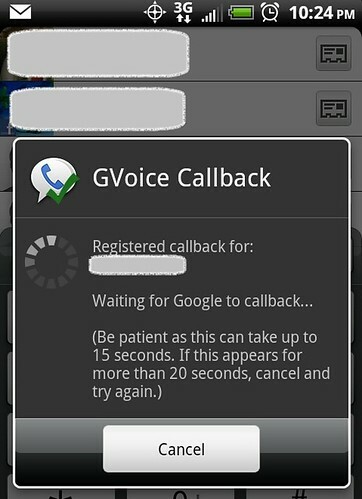 You have now configured GV Call Back, SipDroid, and SipGate and Google Voice. 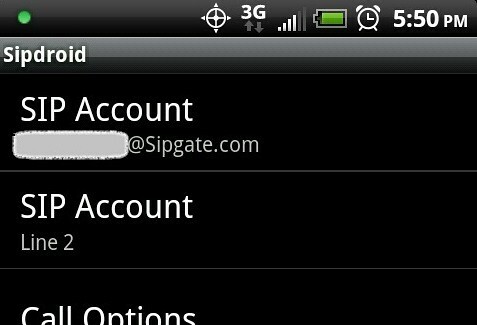 Launch SipDroid and wait for the Yellow indicator to turn Green in the Status Bar. 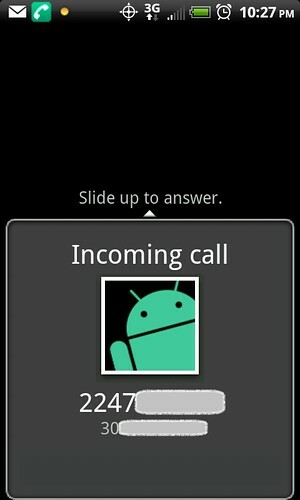 After the indicator turns green you are able to answer SIPDroid Calls. Go Back to the Google Voice Settings page and initiate the test call to validate your SIPGate Number. Your Android Device should begin ringing. Hit the keypad button and enter the code on the dial pad. Once the call is ended the following screen will display and you can resume normal usage of the device. If you have a hybrid environment of Mac and Windows File servers you probably have seen several file types that the Macs leave around the file server. Most of the time you will see .ds_store files appearing where ever a Mac has browsed the file server. These meta data files are used by the macs telling the finder how to display, where to appear on the screen, what view to use etc.. but becomes problematic when you have a few users with different resolutions or systems with and without dual monitor are browsing the same file server. Some backup solutions and DFS Replication can have issues with these files as well. Apple documents the ability to turn off the .ds_store files here: http://support.apple.com/kb/ht1629 but isn’t totally complete in the instructions so I have documented the process here. 4. Either restart the computer or log out and back in to the user account. I am a little behind the curve on this, but in the most recent update to Mac Office Communicator, Microsoft has added Desktop Sharing for the mac clients. 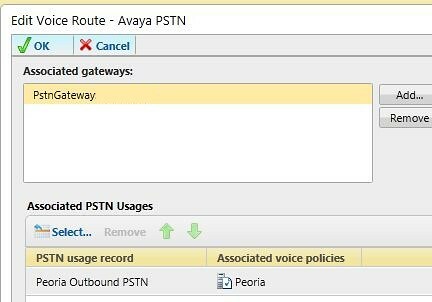 This is one of the last features that was in the Lync client that was still missing from Communicator for Mac. For all the info on the update go here. To update the clients kick off Microsoft Office Auto Update and it will download the new link client. The one one remaining feature missing… white boarding and PowerPoint sharing…. but I can live without that for now. I came across an article this week that I have described to several as “Nearly Brilliant”. It is possibly one of the most well written and well articulated articles about “managing geeks” I have seen. While I don’t claim to have read every IT management article, this is one of the best I have read. I am am always on the lookout to get better at what I do as well as lead the team I lead better. As a geek who manages geeks, I am always looking for insights to lead my team as well as improve how we serve our organization. This article should be read by IT Pros as a look inward to make those natural hang-ups less of an issue and for those who manage IT Pros to understand a little more of why IT pros do what they do. From "The Unspoken Truth About Managing Geeks” found on ComputerWorld.com written by Jeff Ello. Understanding why IT pros appear to act the way they do makes working with, among and as one of them the easiest job in the world. Most IT pros support an organization that is not involved with IT. The primary task of any IT group is to teach people how to work. That may sound authoritarian, but it’s not. IT’s job at the most fundamental level is to build, maintain and improve frameworks within which to accomplish tasks. You may not view a Web server as a framework to accomplish tasks, but it does automate the processes of advertising, sales, informing and entertaining, all of which would otherwise be done in other ways. IT groups literally teach and reteach the world how to work. That’s the job. We started reviewing products that would fulfill the requirements of our project in late summer of 2010. At that time most of the products we were reviewing were primarily video conferencing/voice providers. The list included but wasn’t limited to: Skype, WebEx, Adobe Connect, ooVoo, TokBox, Windows Live Messenger, Microsoft Office Communications Server and some various locally hosted IM solutions. While many would fit many of our requirements few would allow for centrally managed and deployed solutions. Others wouldn’t fit the budget. Many times we reviewed OCS but felt that it lacked many of the “WebEx” type web conferencing tools and was quite costly for IM and Presence. Not to mention deployment appeared to be a fairly large undertaking. 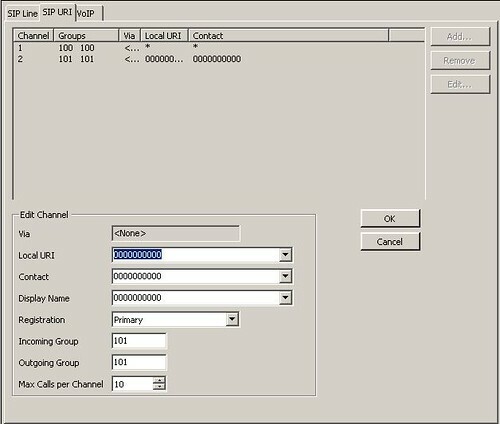 In the Early fall of 2010 MS Lync was on the horizon and better integrated many of the ‘lacking’ features of its predecessor OCS. Very quickly Lync was much more than IM and started to fit many of our criteria. After attending WinConnections conferencing in Las Vegas in November 2010 we had enough information to make a decision…. Lync was the right tool for our organization. WinConnections Conference – While I was somewhat skeptical of this conference, primarily because we didn’t know a soul who had attended it before. A large portion of the conference was dedicated to Exchange, Windows 7 and Lync… all projects in 2010 we were working on. WinConections is managed by the same group that produce publications like WindowsITPro magazine and has proved to be a VERY valuable training especially for the Lync Deployment project. (Even if it was in Las Vegas on Halloween… all I can say is wow, crazy!) This Conference is available 2x’s per year in the spring and fall and while not ‘cheap’ provided a great deal of learning on various Microsoft Server technologies that has moved many of our projects forward. 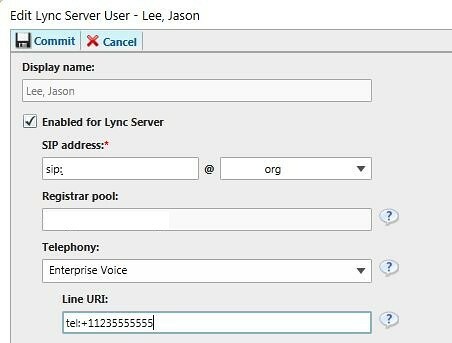 Microsoft Lync Server 2010 (Release Candidate) Lab Deployment Guide – a great step by step tutorial for deploying MS Lync in a smaller environment. 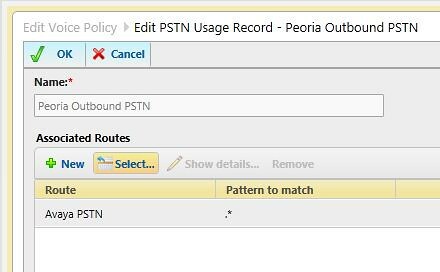 This guide I used as a step by step guide for our test deployment and then edited the document with our network information and used as a deployment guide for our production server. 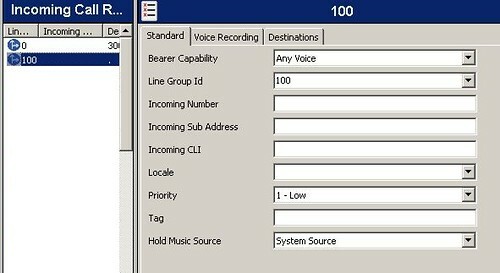 Lync Licensing – Lync licensing explained… Note that the Standard and Enterprise CALs stack.. its not an either or selection for the CALs. Our best pricing was thru PCMall ping me for contact info. 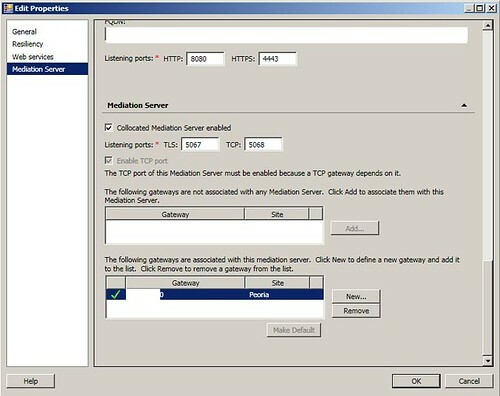 http://www.leedesmond.com/weblog/?p=450 – while this is a OCS 2007 R2 deployment guide, it helped us get up to speed with terms and technologies that are in Lync 2010. 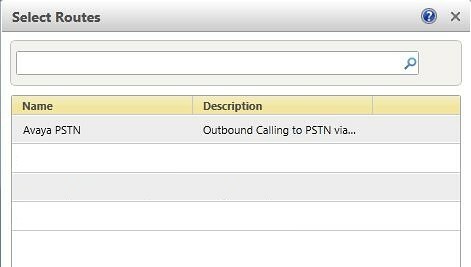 It also helped to see what was different in OCS and Lync since at the time of deployment documentation exclusively to Lync were limited. 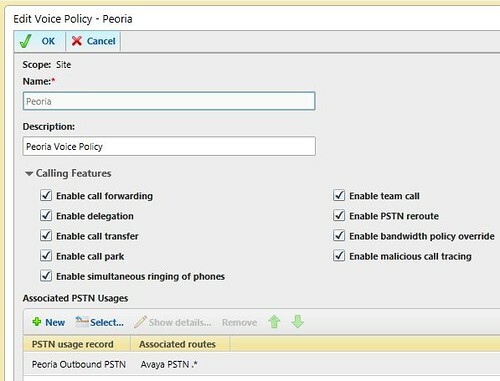 This post is part one of our MS Lync Deployment. A significant project in the past several months has been researching and preparing to deploy a organization wide instant messaging/presence and video conferencing solution. The need for such a solution has increased primarily because of our launch of a campus in Galesburg. While we are still only in the preparation stages of this campus opening, already we have seen the need for better connectivity between staff in two physical locations helping us define the list of requirements for this project. 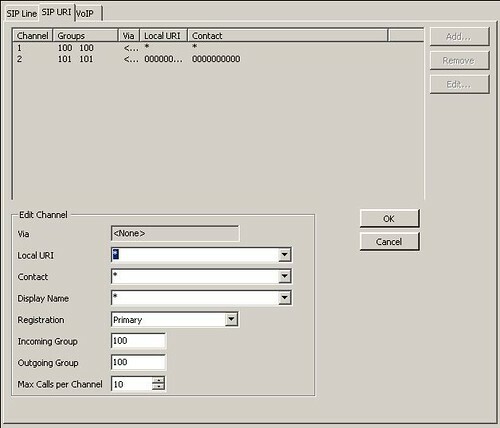 Provide a toolset that allows intercampus communications via Instant Messaging, Video and Voice. A product that is standardized and has enterprise level support. A product that fits in budget. 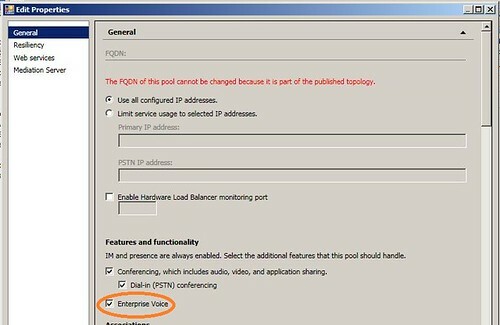 A tool that allows for staff connectivity (Voice/Video & IM) anywhere there is a internet connection.